“Social Media Quotes for Lawyers” was originally just an ongoing page I used for my business as we helped build out one year of social posts for our clients’ business pages. But the thought came to me that it might be nice to share. Below is a compilation of quotes I have sourced across the internet and in books. The first set are the Social Media Quotes for Lawyers that can actually be used on your pages for clients to see. Typically we turn these, and others we find, into branded, sharable images and social media posts to be used on your business pages. To be clear, these are the client friendly ones; the Social Media Quotes for Lawyers that will engage the client, build a relationship, and hopefully even be shared. These make great “boostable” posts as they are easy for people to share, comment and like. They are not meant to sale your services; rather build the know, like and trust elements with your clients. If you want, add a line like “Call us to see how we can assist your through these hard times at 555-555-5555”, but refrain from dropping a link to your website. Because adding a link pointing away from Facebook lowers the value of your post in the eyes of the Facebook algorithm. This is NOT what you are looking for with these posts. We recommend putting a small logo or branding element on the photo, but not so intrusive as to keep others from sharing the post. We typically create ours based on an Instagram square to be used and shared from there, or on the Facebook sized post. If you have trouble deciding what size, or putting together a visual post of your own, we recommend the program we use at Warfare Marketing, Snappa. 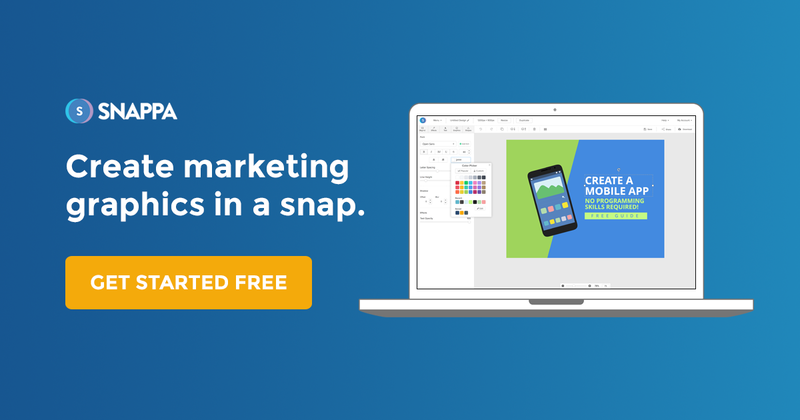 Snappa is a web application that allows you to skip the difficult and time consuming Photoshop efforts and create social photos in a snap…and then resize the image fast to accommodate any platform you need. The Social Media Quotes for Lawyers below, are more for your own personal amusement 🙂 Or to post to start conversations on your personal social media sites. The only time these should be used on a business page is if you are selling to attorneys! If the quote would not speak to your desired audience – don’t post it! Or as I mentioned above, use them on your personal page to stir the conversation amongst your peers. If you are an attorney needing to post on Social Media regularly, and taking the DIY approach, bookmark this post! I update it with each new attorney client we take on when I am researching new topics or angles. If on the other hand, you would love to save yourself 10 billable hours a month (120 yearly billable hours) and have a Certified Digital Marketing Warfare Strategist do it FOR YOU – ALL DONE, call us at 972-851-1033 and ask about the One Year of Social Media Post. 365 days of posts, one per day, fully researched, strategized, branded to you and your firm, scheduled – all done for you. We cost less than paying an assistant to do the job and unlike them, we actually know what we are doing. What is your favorite Social Media Quotes for Lawyers? Let us know in the comments so we can add it to the list!